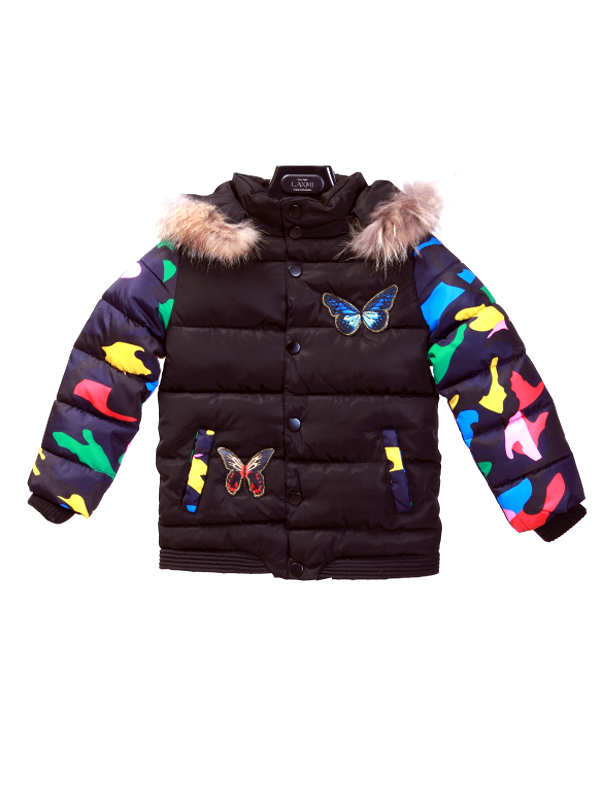 Butterfly Jacket Parasut Fur Collar Kids Black Is Winter Jackets for Children, Made of Parachute pay more and have a thick furry collar serves to make your Kids body to keep warm when wearing them. there are 2 pieces pocket on the left and the Right. Fit combined with Shirt, Sweater, Long John, Jeans and Scarves. Suitable for activities inside and outside the cold room. Available in two color options, the Red and Black.